Description: CM-50 Industrial Hard Styling clay is used by product designers for the creation of automotive, marine, aerospace and consumer product models. Sculptors use CM-50 for high detail artwork, when a firmer clay body is desired, such as a #4 Plastilina, or if they want to incorporate various organic, smooth, curved shapes normally seen in transportation design into their sculpture. 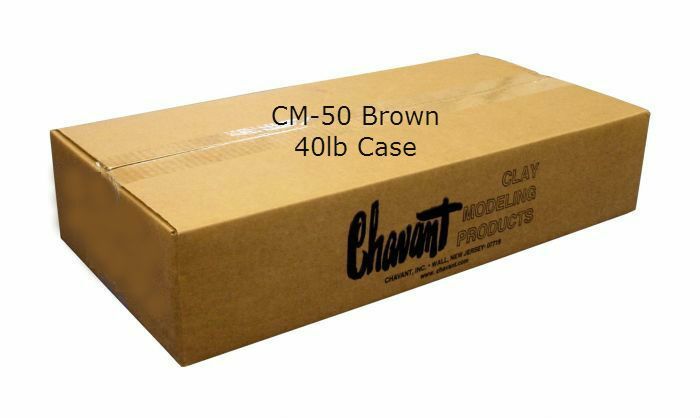 CM-50 is the softest of Chavant's Hard Styling clay. Because of its room temperature firmness CM-50 is not the best choice for studios with a desire to machine the clay, although it can be milled successfully. Normally warmed to approximately 135°F, CM-50 can also be modeled or sculpted at room temperatures. The surface and basic shapes of CM-50 can be worked nicely by hand at room temperature, although the flexibility is greatly reduced at room temperature. 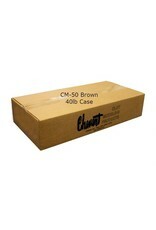 CM-50 is a sulphur-based product that has excellent qualities of adhesion, cohesion and consistency. It can be carved, extruded and slicked to an extremely smooth surface. 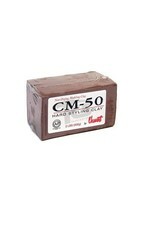 *CM-50 is available as a DeAired clay. The DeAiring process reduces the individual clay compound particle sizes creating a smoother clay and, as the name suggests, entrapped air is removed from the finished clay billet making the clay more slightly more dense and better for extrusion processes. 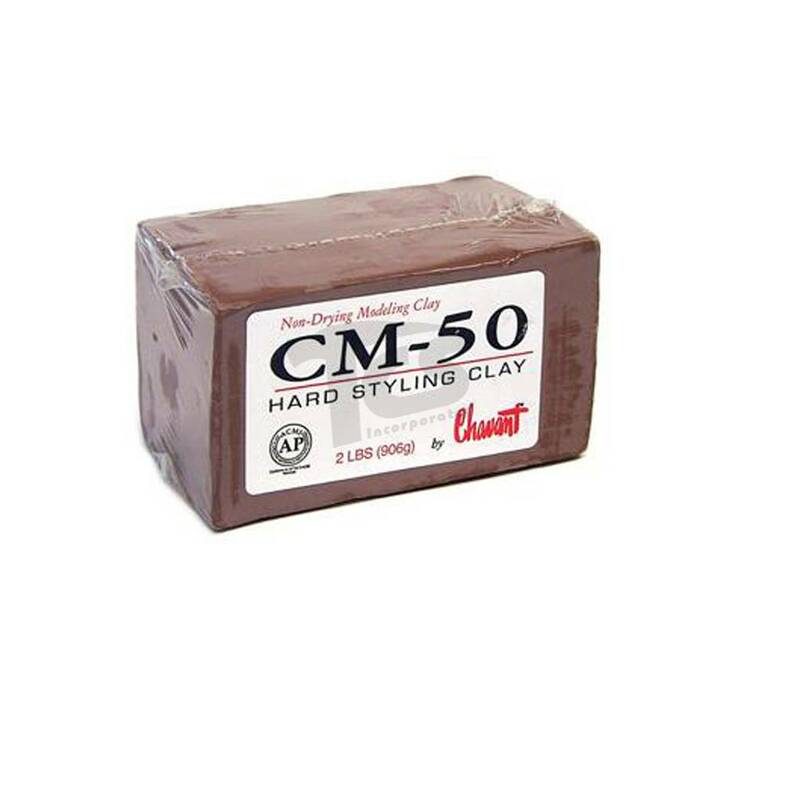 Handling Tips: CM-50 Hard Styling Clay is most often warmed to its softening point before it is applied to armature. Care should be taken not to burn the clay during warming. Unique Prop's: Hard styling clays can be shaped to a very accurate and stable model. Many types of molds including MDM, polyester, epoxy, urethane and silicone can be taken from the clay surface. Cautions: All of Chavant's clays have been approved by ACMI to be Non-Toxic and Non-Hazardous. Some of these clays, including CM-50, contain sulphur, which may cause a burning sensation in the eyes of some users. Although not dangerous it may be uncomfortable. Over heating sulphur based clay will cause the sulphur to crystallize, which is easy to identify by the small, sand like granules which will be seen after the clay has been burned. These granules are impossible to remove so burned clay should be discarded. Do not overheat or burn the clay. See MSDS. Wash hands with soap and water after use.